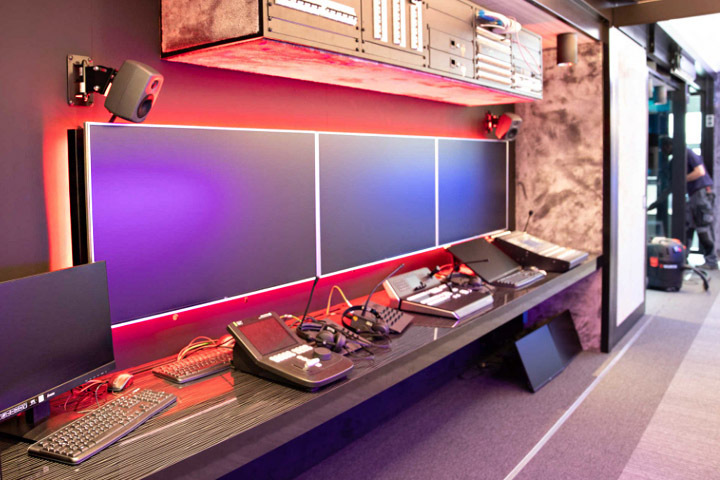 We manufacture OB vans according to your wishes – or you can choose an OB van from our pre-configured Streamline series. 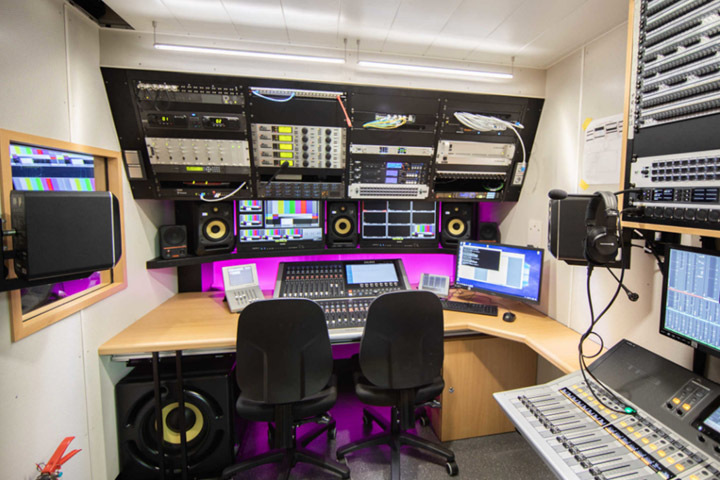 Broadcast Solutions produces your OB Van according to brief and tailor-made to your needs. There are (almost) no limits to make your idea a reality. Our range of mobile production equipment covers all applications, from small OB Vans with four cameras to large mobile units with 30 or more cameras used at the largest sports and live events in the world. 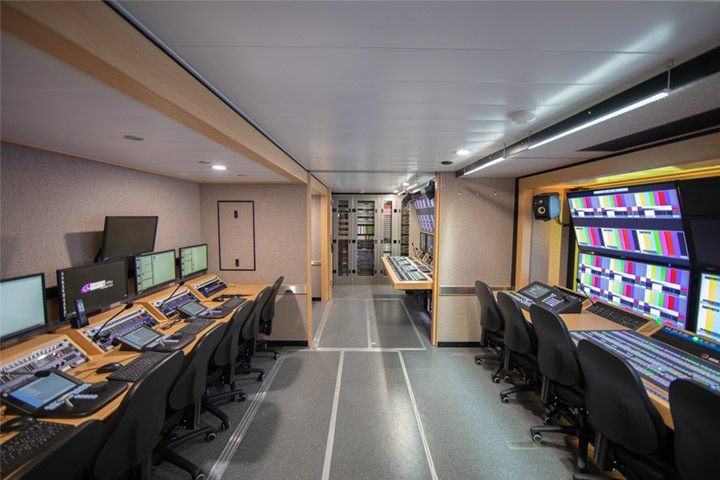 With our Streamline OB Vans, we have transformed the process of construction into a product ranging from four to 16 cameras, covering all common production scenarios. 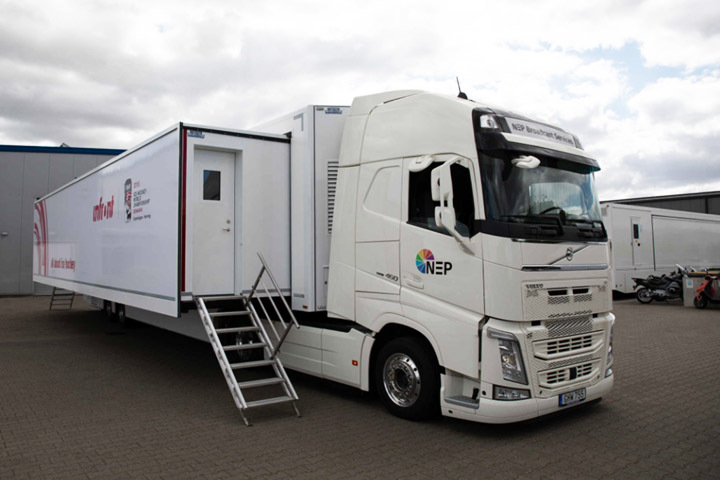 All Streamline OB Vans are pre-configured, offer similar technical equipment, space and workflow concepts, making them extremely cost effective and quick to deliver – we always have vehicles and trailers in stock. Alongside the cost advantages at purchase, the vehicles offer many benefits in daily live operation. Due to the identical design and equipment, set-up times and the training effort of the teams are considerably lower. 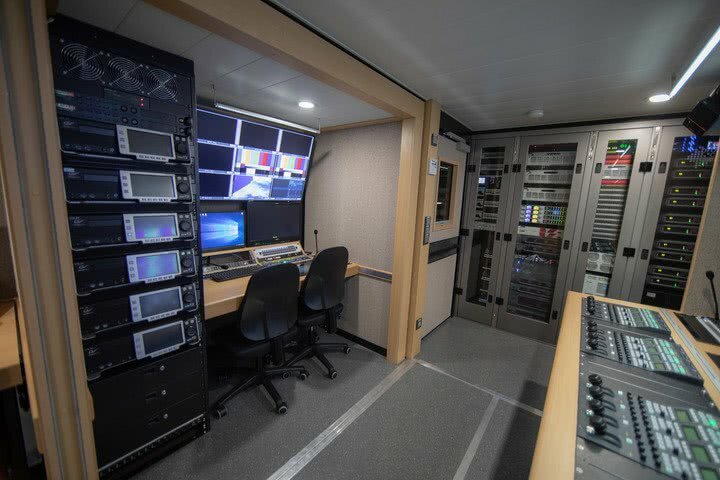 We equip all Broadcast Solutions OB Vans, whether individual or from our Streamline series, with the latest technology and scalable solutions (HD, UHD, HDR, IP connectivity) to gear them up for future technical and production-related innovations. 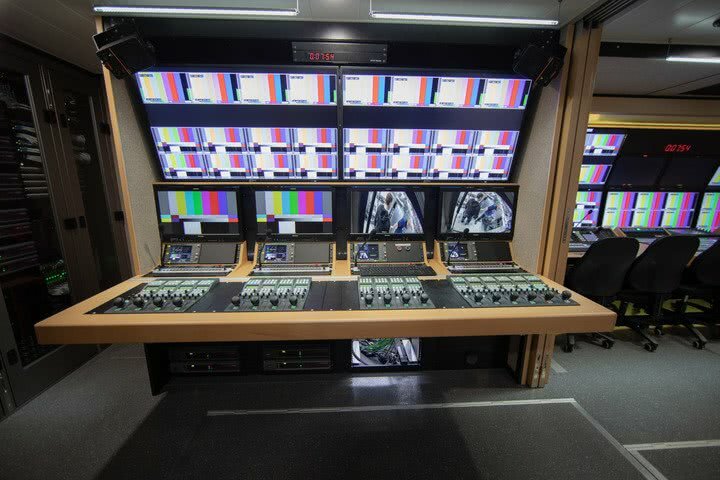 With already more than 40 units built, Streamline are the most successful OB Vans in the world!